Rules have an Unpublished setting/status by default. To display products in the Frontend you must first Publish a Rule. To search for Amazon Products, please click on Find Products. When you install the plugin first, you will see that in the Related Products section, you will have displayed all your website’s content (posts / products / pages), but without any link with amazon products. 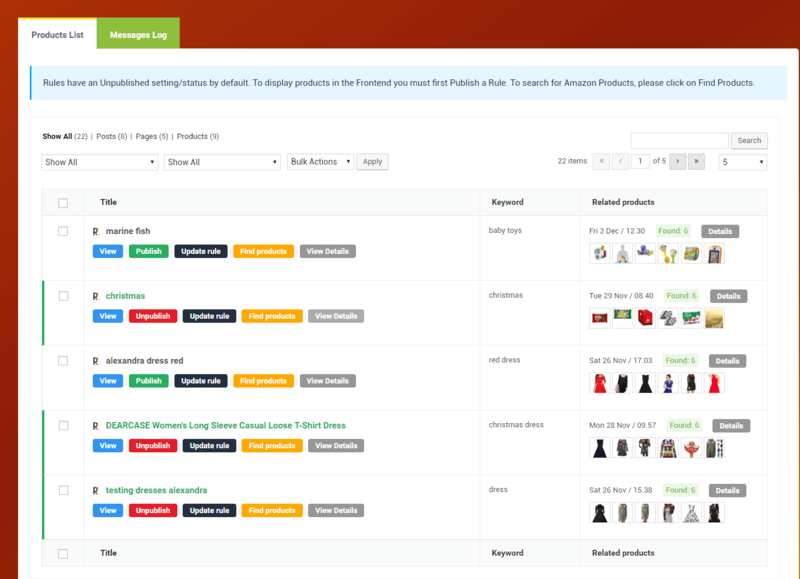 In order to make it easier for you, you can edit each post / product / page and setup a keyword and a category where to search for amazon products.